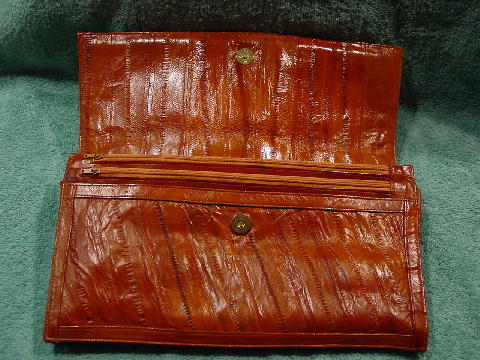 This vintage eelskin envelope-style large clutch has two outer side metal loops, so you can attach a shoulder strap or chain (it does not come with a strap or chain). It's in a rust brown color. The other strips of eelskin are in diagonal patterns. 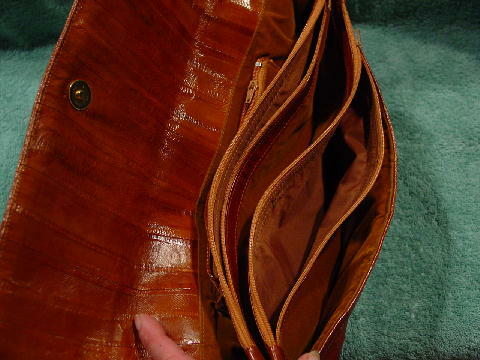 The inner flap skins are in a vertical pattern. 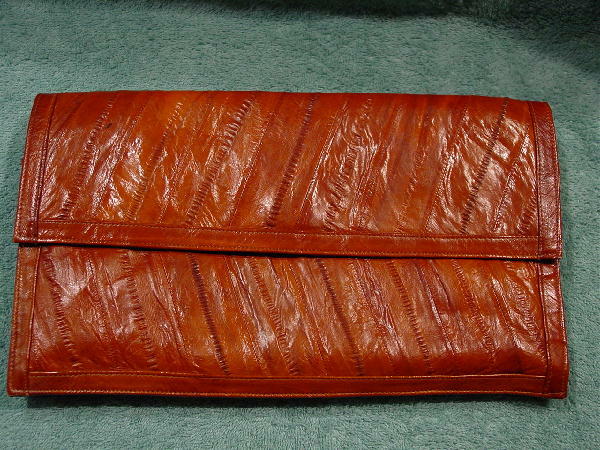 The interior has five separate side to side compartments, three of which (front, center, and back) have a brushed cottom rust color lining. The back one has an interior packet that zips. 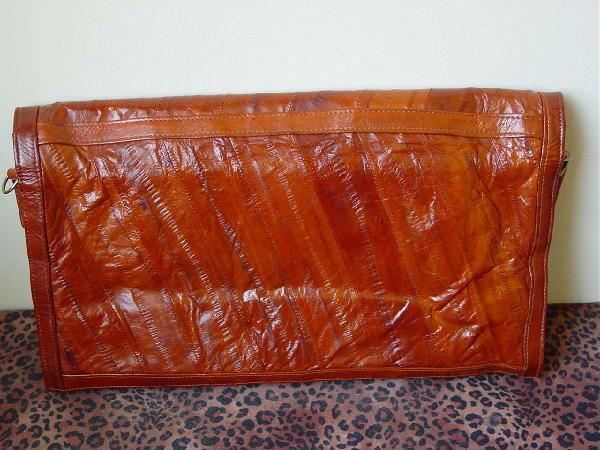 The other two compartments have side to side zippers and what looks and feels like nylon linings. There is a magnetic closure under the front flap. There is an ink mark (1/4" long) on the left side of the front flap. It's really nice soft eelskin.